Ahh, pumpkin crunch cake. You know the one. The one that's super easy to make and graces almost any dessert table during Halloween and Thanksgiving. Usually pumpkin crunch cake is pretty straight forward as a 'dump-n-go' style of cake, but I've made a few simple swaps today to make this famous cake a little more guilt-free. You know me, always trying to make some of the most complicated and indulgent recipes into something more wholesome. I believe strongly in that small changes to any recipe can leave you with a great end result that still tastes just as amazing and won't leave you feeling guilty at the end of it. Any easy 'dump cake' (and now you see why I've called it crunch cake instead), is created with a layer of fruit on the bottom, followed by dry cake mix, and then topped off with some crunchy goodness and of course butter! To lighten this gem up, I swapped in some egg white and used a lot less sugar (with some of it even being swapped for natural sweetener) with light butter. Sometimes you can't get away with using light butter, but in this baked project you absolutely can! Plus, I used an all natural cake mix, which always makes me feel a little bit better about using the boxed variety of mixes. I will say that I usually use a vanilla or yellow cake mix to make this, but I was feeling adventurous and grabbed a spice cake instead. It honestly wasn't my favorite, so I would suggest to anyone to stick with a vanilla or yellow cake mix unless spice cake is one of your absolute favorites. As part of the Lifestyle Collective I got to participate in the first ever AOL Lifestyle Collective Fall Food Awards and also got to dish about some of my most favorite fall recipes with some other amazing bloggers! I happened to use one of the handy gadgets (the Shake-It) from what I was sent to review, to help me here with this recipe. 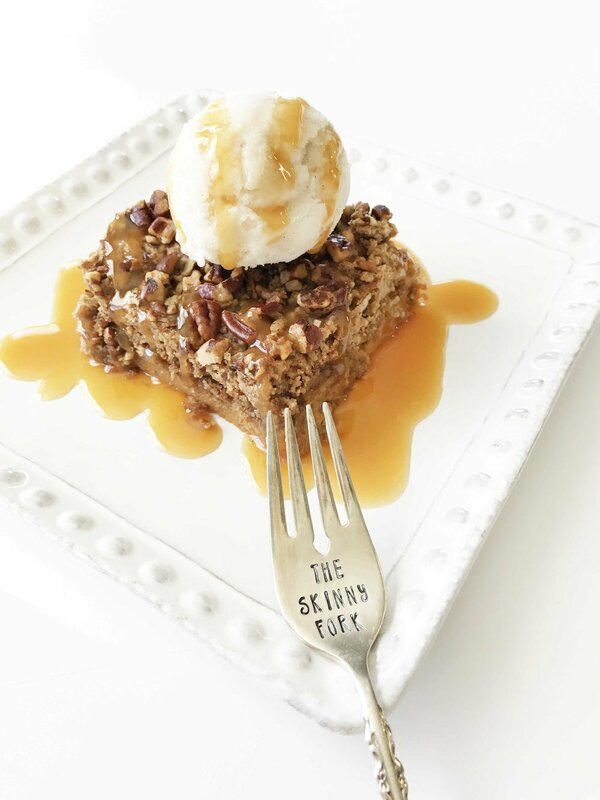 I served my skinny pumpkin crunch cake with a scoop of snickerdoodle ice-cream and some caramel drizzle. Yum! Preheat the oven to 350 degrees F. and lightly coat the inside of a 13x9" baking dish with non-stick baking spray. Whisk together the 1 (12 Oz.) Can Reduced Fat 2% Evaporated Milk, 1 (16 Oz.) 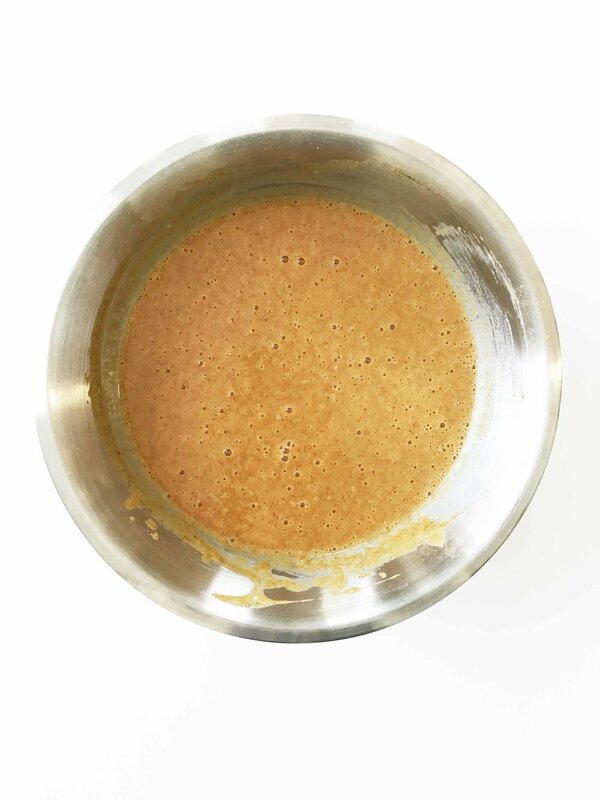 Can Pumpkin Puree, 1/2 C. Sugar, 1/2 C. Natural Sweetener, 2 Whole Large Eggs, 2 Large Egg Whites, and 4 Tsp. Pumpkin Pie Spice. Pour the mixture into the bottom of the prepared baking dish. Evenly top the pumpkin mixture with the dry cake mix. 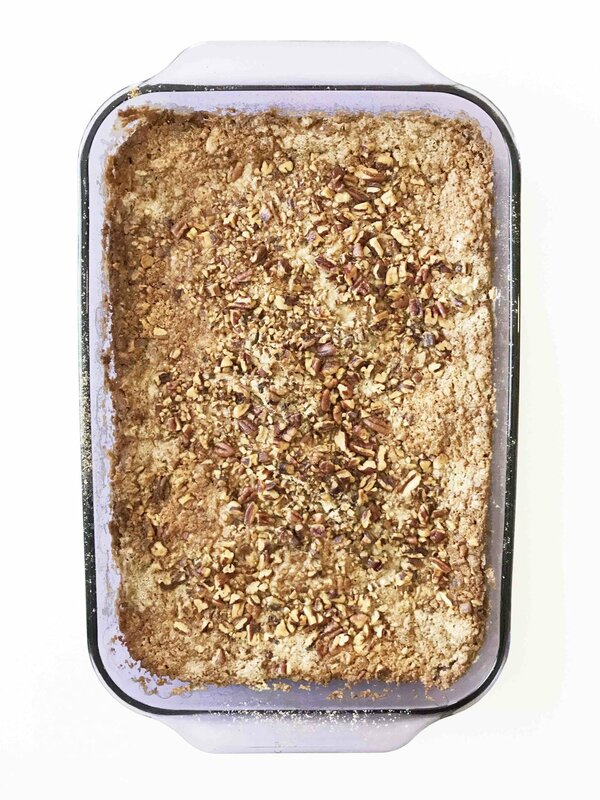 Pour the melted 1 C. Light Butter evenly over the dry cake mix and top with the 1 C. chopped pecans. Place in the oven to bake for about 55 minutes or until the top is browned and starting to crisp. Once done, remove the dish from the oven and allow to cool before cutting into 12 equal squares. Store leftovers for 3-5 days in an airtight container in the fridge to reheat when you're ready to enjoy again.